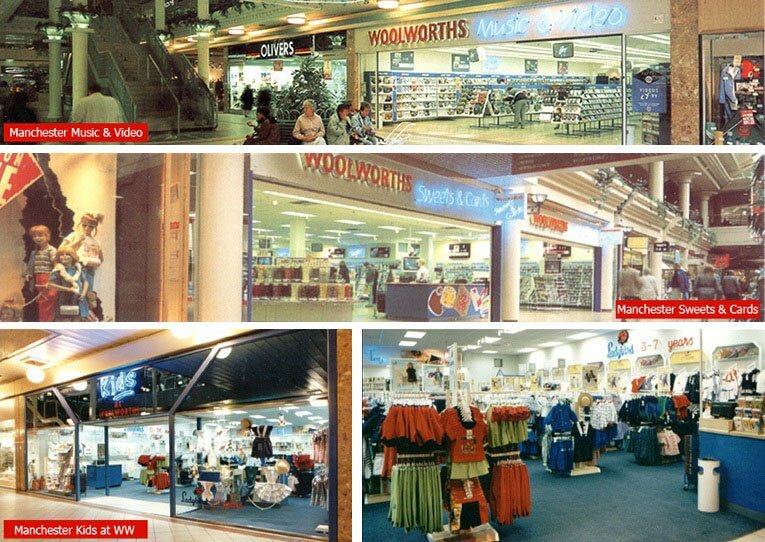 Woolworths enjoyed considerable success through its 1980s Focus Strategy, which trimmed back the product selection to six core categories, removing many thousands of lines at a stroke. In the 1990s executives wondered whether they could achieve the same result by becoming more of a specialist, dropping what insiders called "the back departments", (home, kitchen and garden,) in order to increase the offer for children and young people. They converted a handful of traditional stores to the new approach, while also testing the concept of trading smaller stores that sold just one of the product catageories. The results did not meet expectations. Research showed that customers were confused by the offer, with most saying they missed the ranges that had been removed. At the end of the Eighties and beginning of the Nineties there were further trials to develop a more radical formula. At a time of rapidly rising retail rents, the goal was to find an approach that would allow Woolworths to trade profitably from small premises in large towns and cities. This would enable re-openings in the prime locations that had closed when Kingfisher redeployed its property assets. To test the idea, the stores at Abington Street, Northampton and Calverley Road, Tunbridge Wells were converted to a 'limited story' format, abandonning Home, Kitchen and Garden to offer larger ranges of Entertainment, Kids Toys and Clothes, Confectionery and Cards and Stationery. From the outset, while sales per customer increased, the number of customers visiting fell dramatically. This decimated the stores' total sales and profit. It was clear the Home, Kitchen, Garden and Looks displays helped to attract customers to the stores. Other limited story outlets had mixed results. After years away from Manchester after a major fire in 1979, three small stores opened in the Arndale Centre, as shown below. The first was branded 'Kids' with a tiny 'at Woolworths' suffix. It featured large Ladybird logos in the windows and sold just clothes and toys. 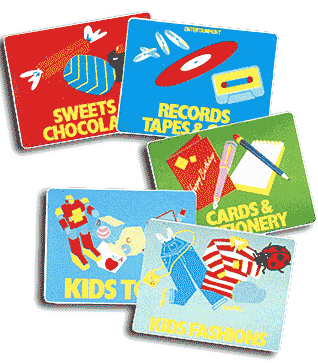 The second, 'Woolworths Gifts and Sweets', carried confectionery, cards, newpapers and, of course, pic'n'mix. The third was an entertainment shop, 'Woolworths Music and Video'. The Sweets and Cards and Music and Video stores proved unviable. Despite steady sales, the merchandise mix did not generate enough profit to cover the cost of wages and rent. The same applied to other freestanding Music and Video Stores in Putney, South West London, Winchester, and The Arndale Centre, Eastbourne. But the Kids store caught the public's imagination. Despite a small footprint, it soon overtook the flagship Croydon store to the national top spot for clothing sales. You can see its layout in our Gallery feature. The limited story concept was discredited by its poor overall trading results. The Ladybird success was caught in the crossfire. As retail rents slipped back and supermarkets moved out of town, affordable properties became available for new, full-sized traditional stores. The dynamic Retail Director, Martin Toogood, launched an initiative to re-open in some of the Cities abandonned as Kingfisher sold off freehold properties to fund its diversification strategy. The new outlets were much smaller and highly compact, allowing them to take prime sites in Shopping Centre locations. After openings in St Stephen Street, Norwich, and the Bon Accord Centre in Aberdeen, Renfrewshire, Toogood was able to herald a return to the chain's spiritual home in Liverpool in the St John's Centre precinct. The willingness to compromise to obtain prime space brought a touch of the bizarre to Sheffield's Meadowhall Centre. It had two Woolworths stores close together, each stocking half of the range. This kept the rent affordable, ensuring that both outlets made a profit. Space limitations made these branches hard to manage. Inevitably sales were lost at peak times if queues built as staff struggled to rush customers through the tills. Over the next four years thirty stores saw a return of Woolworths. 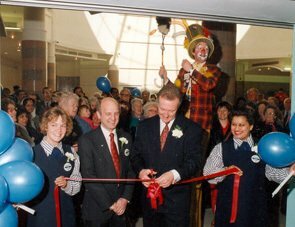 Toogood cut each ribbon and greeted every customer personally on opening day, and placed his best managers at the helm of these outlets. The expansion impressed developers. For example, in Slough the owners of the Observatory Centre offered an 'anchor' site at a discounted, capped rent. Under the deal Woolworths opened before building work was complete to help attract other tenants. The move was later to back-fire, when Kingfisher undersold the lease to a third party as part of the demerger process. This tied Woolworths to pay full index-linked rentals, without break clauses until 2031, in place of the sweetheart deal which had prompted the original opening. 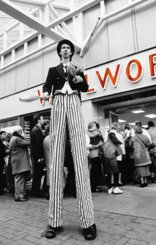 Toogood agreed to make way for a rather special guest to open the new store in Lincoln's Watergate Centre on 3 October 1991. 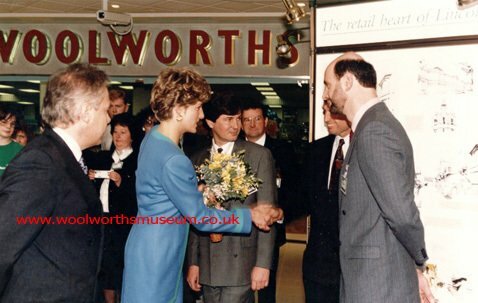 HRH The Princess of Wales drew a huge crowd as she cut the ribbon. Diana graciously provided a photo opportunity and went on a walkabout that those present will tell their great grandchildren about! The shopping centre was branded 'The heart of Lincoln'. They could not have asked for a better start. By 1992 the idea of Limited Story stores had run its course. The new City Centre branches proved much more profitable than the smaller upstarts. The three Manchester stores were quietly closed in January 1994, with the other Entertainment stores closing in December or moving to the fascia of one of two new members of the Kingfisher Group, either MVC, The Music and Video Club, or Titles Video.